The Socialist Party has had considerable strength in Buenos Aires in the early 20th century. From 1918 or 1919 to 1922, the movement developed rapidly, and there were some 280,000 inscribed members in this movement among the laboring classes. The Consejo Nacional de Mujeres was one of the most dignified and progressive of the women's organizations. It made a careful study of women's movements in different parts of the world and invited distinguished lecturers to appear before it. One of the most important lectures delivered before this body was that by Dr. Ernesto Quesada, the Argentine sociologist. Quesada advised the women of Argentina to work first on an educational program and, after they have attained equality before the law, then to take up the matter of political equality. One of the most active of all Argentine women's organizations was the Club de Madres of Buenos Aires. The president of this organization was Dr. Ernestina Lopez de Nelson, the wife of Prof. Ernesto Nelson, an educationalist. Historically, Buenos Aires was one of the worst centers for white-slave trade. Probably for that reason the women of the city became particularly interested in the movement for the single standard. Blanca C. De Hume made important contributions by her writings toward the solution of this problem. As early as 1912, some of the farseeing women of Buenos Aires were making scientific studies of the condition of women workers. Carolina Muzilli published such an investigation for an exposition on social service in Ghent, Belgium, which was highly commended by the Government officials of her city. Her most interesting survey showed that even in 1919, there was a large number of women working in shoe factories, garment factories, and many other kinds of small factories in Argentina. As far as statistics were available, there were shown to be at that time 205,851 women wage earners in factories and commercial houses of Buenos Aires. These women were badly underpaid, having to work long hours with no privileges whatever, and always receiving less wages than men. When Muzilli began her investigations, she found prejudice so great that it was impossible to obtain data until she had gotten work in one of the factories. For several months, she continued in these activities until she brought out this remarkable survey of the condition of working women, one of the very few scientific studies of industrial conditions for women ever made in Latin America at that time. Argentine law established a difference between the sexes against woman. The law limited her condition, excluding her from the management of family property, which, without condition, must be given into the hands of the husband. If the husband wastes the common property, the wife may solicit separation of their properties, if she has not, as is usually the custom on being married, assigned to her husband all property rights. The woman participated in the increase in value of the family property; but where there is a separation of this property she received her personal property again and only half of the increase. Laws granted, under certain conditions, the separation of husband and wife, but incapacitated them from marrying again. The following were the demands of the Woman's Bights Association of Buenos Aires: 1. That all laws be repealed which establish a difference between the two sexes and against woman, in order that the latter may become fully competent before the law. 2. That women have the right to hold public office and especially to become members of the national and regional councils on education. 3. The establishment of special courts for children and women. 4. Passing of laws for the protection of maternity and for legitimatizing all children. 5. That all legal prostitution be abolished and that the single standard for both sexes be established. G. Equality of wages. 7. Equal political rights. The Young Women's Christian Association, which was organized in Buenos Aires for a number of years, did much toward awakening women to new interests in life. Although suffering from small quarters, they gathered round them a number of the prominent women of Argentina, who helped them in the conducting of night classes, gymnasium, cafeteria, and other services for girls working in stores and offices, and in the study of the general means of improving the womanhood of Argentina. Temperance was important to the women of Buenos Aires. This became such an important work that they planned, with the aid of some North American societies, to erect a temperance building in Buenos Aires to house the various activities along these lines. 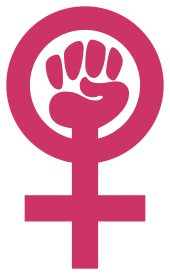 The Female Peronist Party, also known as the Feminist Peronist Party and the Peronist Feminist Party, was the women's wing of the Peronist Justicialist Party of Argentina. It was founded by Eva Perón in the late 1940s. After the Peronist Feminist Party was founded, twice the number of women were allowed to attend university. With the set up of the Peronist Feminist Party, women's centres were set up in poor Argentinian neighbourhoods. These centres provided a wide range of services including medical, legal and social services. At the time of the party's founding, women were largely absent from the political process in Argentina and were not allowed to vote. In the first elections (in 1951) in which women could run for office, 24 were elected to the Argentine Chamber of Deputies, all Peronists. Also, seven female senators were elected, making Argentina the country with the most women representing the government. Following the death of Eva Perón, Delia Parodi, one of those deputies, led the party until the military coup of 1955. The Fundación Mujeres en Igualdad (MEI), known in English as the Women in Equality Foundation, is an Argentine NGO created in March 1990. It has been awarded consultative status with United Nations ECOSOC. The foundation sets out to combat gender based violence and discrimination against women by promoting welfare, participation and empowerment in the political, economic, social and cultural spheres. From its inception Women in Equality promoted the use of the new technologies intensively, being the first women´s NGO in Argentina to have a website. Through such initiatives it has networked and created partnerships with NGOs and with the women's movement both at the national and international levels. This article incorporates text from Bulletin of the Pan American Union, Volume 54, by Pan American Union, a publication from 1922 now in the public domain in the United States. ↑ Pan American Union (1922). Bulletin of the Pan American Union. 54 (Public domain ed.). The Union. pp. 358–. ↑ "Women in Equality Foundation". Women in Equality Foundation. 8 April 2016. ↑ "Mujeres en Igualdad. Nuestros Temas.". 8 April 2016. ↑ "Contra toda clase de maltrato". 8 April 2016.